The Vulcain Trophy is racing circuit featuring Decision 35 (D35) catamarans and combining two types of races: the classical Geneva Lake races, like the Genève-Rolle-Genève and the famous Bol d’Or, and five Grand Prix organised as a succession of short fleet races, each lasting from 30 to 45 minutes. 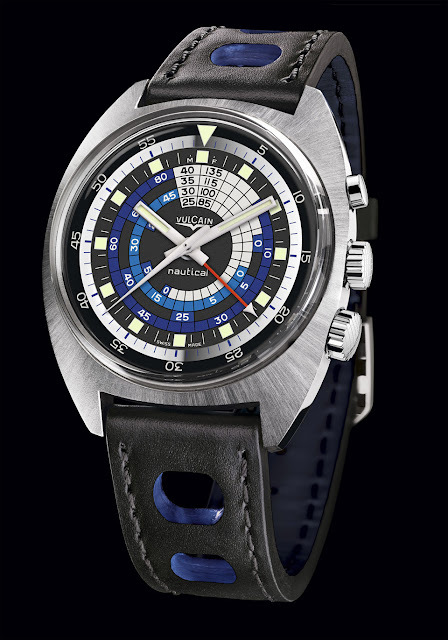 The circuit involves local Geneva Lake specialists, but also skippers and sailors of international renown. 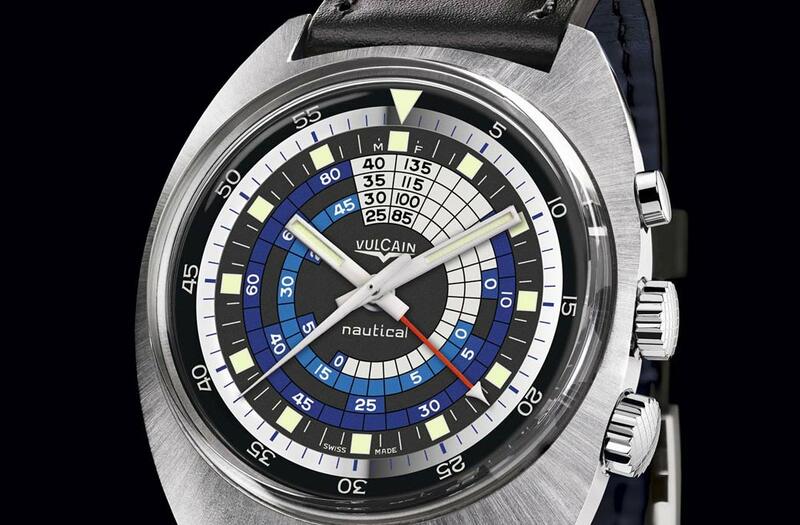 As the main sponsor of the Vulcain Trophy 2013, Vulcain just presented a new version of the Nautical Seventies Limited Edition that was introduced last March. We wrote about it here. 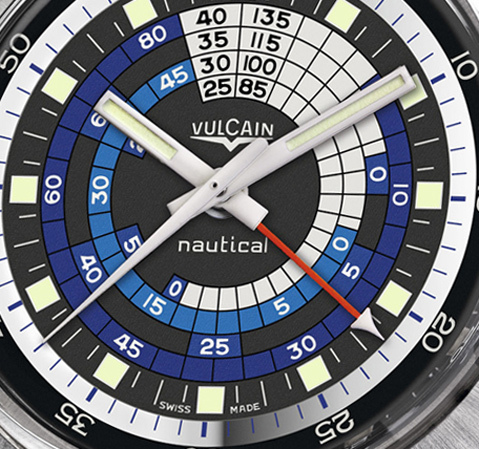 With the same technical features of the previous model, the new Nautical Seventies Vulcain Trophy Limited Edition uses blue colours for the decompression details of the central dial. The matching black and blue sturdy strap in water-repellent leather adds the right vintage touch to this 100-piece limited series.